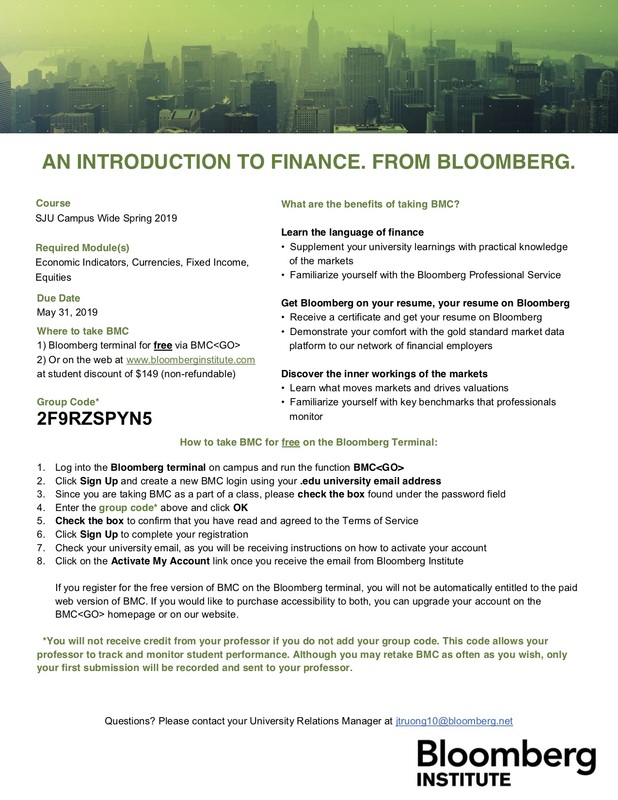 The BMC is free to anyone participating on a Bloomberg workstation in Mandeville 294. If you are enrolled in a class and were given a Group Code by your Professor, please use that code when you complete the BMC, not the code listed below. Instruction for creating an BMC account can be accessed here. Online students not able to visit campus can participate remotely with a fee.